Best-selling children’s author, Lisa Thompson, visited the JLV on Monday to kick off the national book tour for her newest book, The Day I Was Erased. 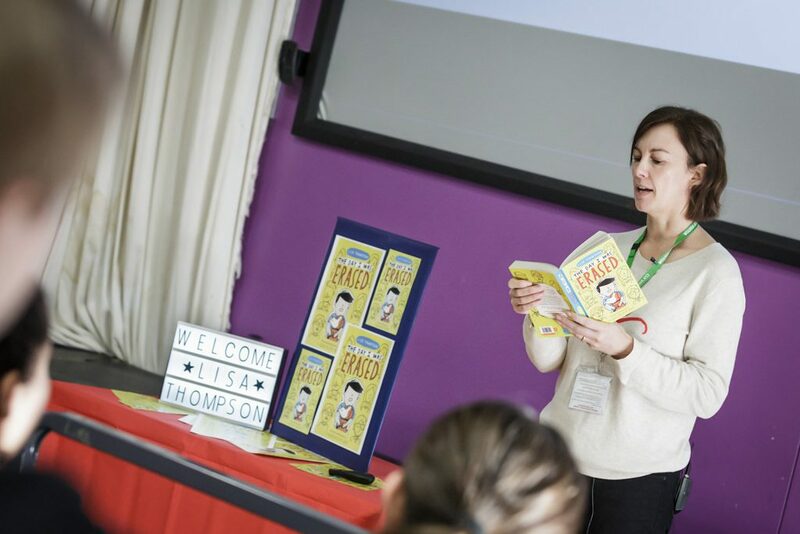 Lisa set out to inspire aspiring authors in the audience, describing her own career: from writing her very first (terrible) story aged 9, through working as a broadcast assistant on BBC Radio 2 with famous actors such as Benedict Cumberbatch to becoming the acclaimed writer for children she is now. Lisa excels at writing exciting and intriguing mystery stories – with a twist! 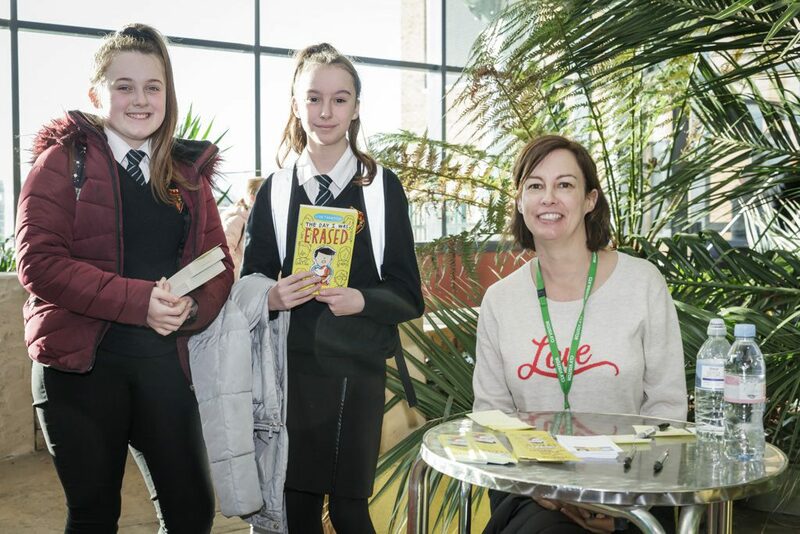 Our y7 students, together with visiting y6 students from Shanklea Primary School, were treated to a reading from Lisa’s newest new book in which the main character, Maxwell, manages to disappear from his own life – in order to avoid being constantly in trouble! As always, many students were keen to buy their own signed copies of the book after the event and put their questions to Lisa. Thanks to Seven Stories and to Scholastic Publishing for the opportunity to host Lisa’s visit and for keeping our students reading!